Powerful ingredients from nature, underpinned by cutting-edge science and almost 50 years of experience makes Oriflame’s hair care widely recognised as one of the world’s leading. 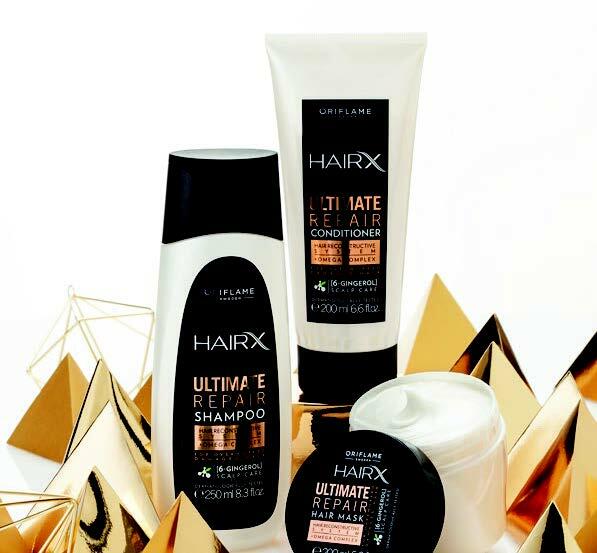 HairX Ultimate Repair of one of our most-loved haircare ranges that help you rediscover. Rich, nourishing treatment provides intensive care, reconstructs and replenishes hair’s surface and resilience within minutes. Helps strengthen hair, leaving it hydrated and silky smooth from root to tip*.